Singapore’s Arab Street is a charming hotchpotch of textile stores and cafes selling Turkish and Iranian food right next to watering holes and hip hostels. 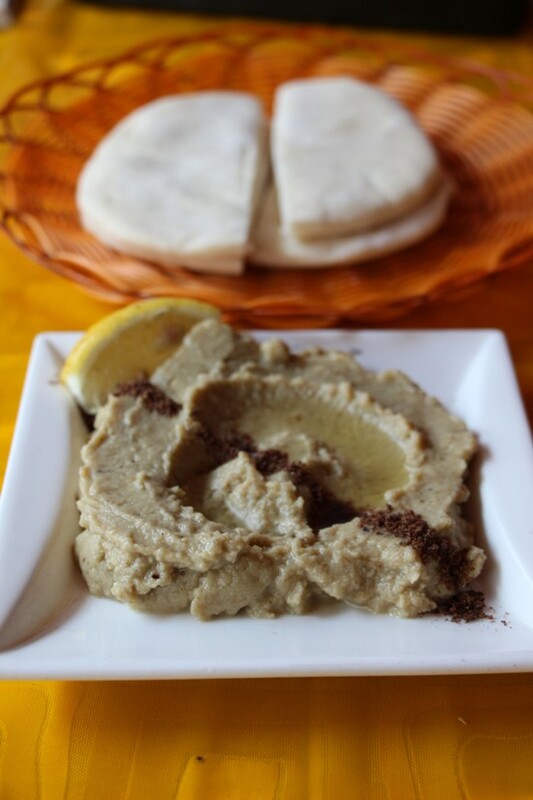 While many of these have come and gone over the years, the Cafe le Caire has been serving delicious well-priced Middle Eastern fare for more than a decade. 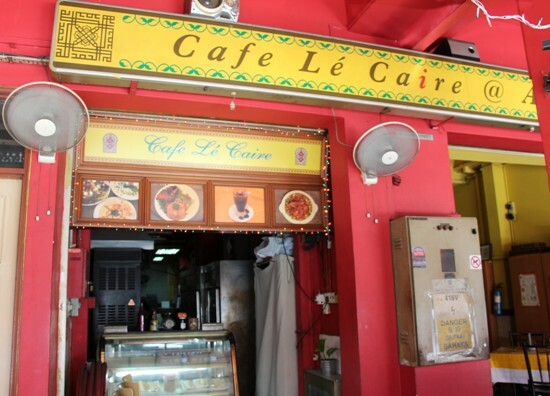 The Cafe Le Caire is a stalwart of Arab Street that has been around since 2001. 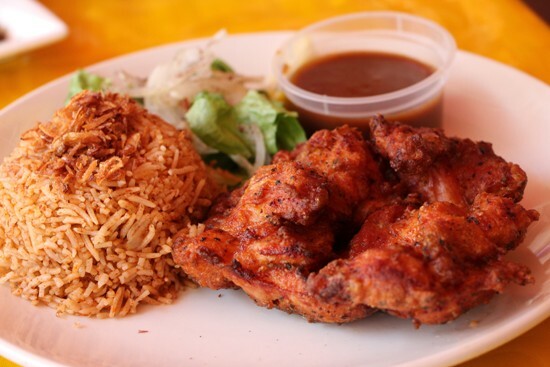 Established in 2001 by Dr Ameen Talib, an Arab Singaporean born in Yemen, Cafe le Caire was the first Arabia-themed eatery to open in the Kampong Glam area and introduced the concept of shishah here. While its name is literally ‘Cairo Cafe’ in French, it offered a wide range of Middle Eastern staples such as mezze and kebabs. During Ramadan, the cafe offers a special iftar buffet. Babaganush and pita bread. Yummo. Cafe le Caire serves food that is unpretentious and authentic, with prices that have changed little from its early years — the same cannot be said of many of the swanky, albeit higher-end eateries in the area. Its dips and meats, a mainstay of Arab fare, are a highlight; there are sides such as wedges and rice, but try the warm and chewy pita or Arabic bread. If you’ve a less adventurous palate, the simple roast chickens and sandwiches, made with that pita, are good options. For a Mediterranean touch, the cafe offers Turkish coffee and a wide range of teas and dessert. 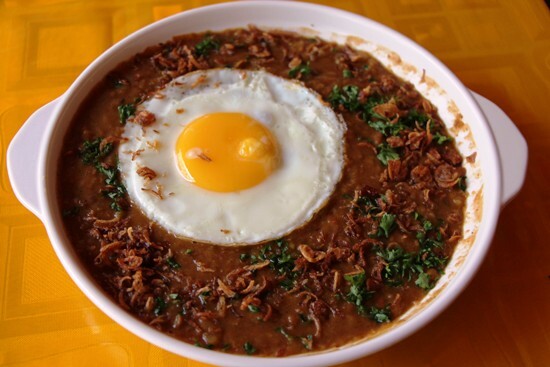 Ful medames, a dish of slow cooked fava beans sometimes topped with an egg, a classic Egyptian breakfast. While the restaurant is relatively quiet during the day and frequented by mainly tourists, it gets lively in the evenings when all of Arab Street becomes a hangout spot for workers seeking a place to relax at the end of their day. For more conservative palates, the simple roast meat dishes are just as good. 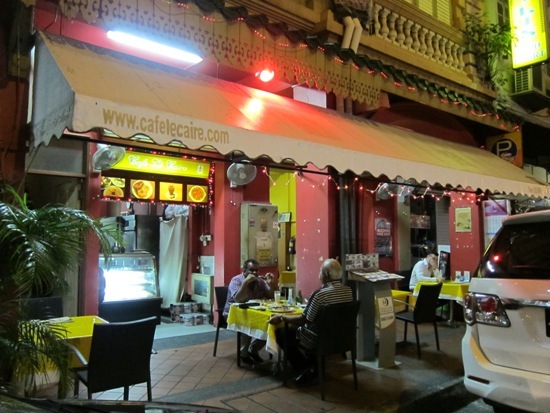 You can sometimes find Cafe le Caire’s founder sitting outdoors chatting with regulars; if you catch him at the right time, ask about his passion for Arab culture and his experience as a pioneer restaurateur on Arab Street. More restaurants may come and go, but chances are they won’t dislodge the cafe’s status as the grand dame of Arab Street’s restaurant scene. A lively vibe at night.